While the lilkihood of three powershots and two of them supposedly the G series powershots seem to make sense (powershots are usually announced at CES since it's a consumer show and not a camera / dslr show), the rest of the guesses roaming through the internet we certainly beg to differ. 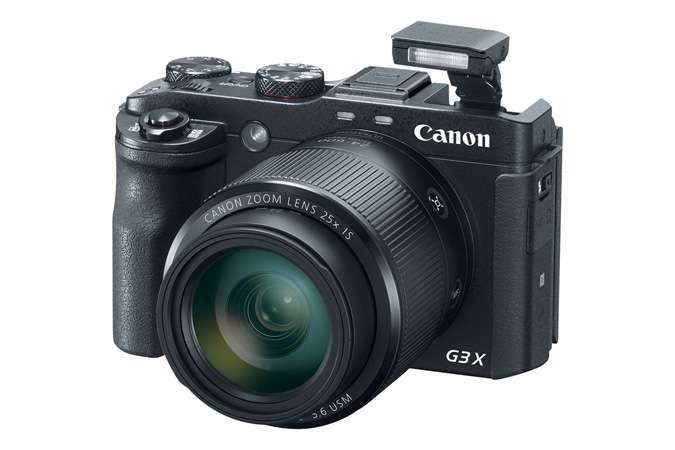 The two G-series powershots that are screaming for an upgrade are the G3X and the G5X. These are the two remaining powershot G cameras that have not been mark II'ed yet. We suspect unlike some that they will remain the same, the G3X a large zoom 1" sensored camera and the G5x an EVF based 1" camera looking similar to the G1X. About the only curious thing is will the G3X remain optional EVF or will it go the route of the G5X and G1X Mark III and house an EVF. One of the complaints about the original G3X was the lack of an EVF. Canon rarely changes cameras within a line dramatically, so this is our educated guess on what Canon may foresee with the two new G series cameras. Expect the usual Mark II level of improvements in FPS, AF, overall performance and battery life. Even though Canon has come out with 1" Dual Pixel AF sensors (DPAF) for their video cameras, they are low resolution (8MP), making it unlikely that we will see a DPAF sensor in these G series cameras. This has to be one of the "well, duh" rumors out there. it's almost a certainty that Canon will upgrade the G3X and G5X the way they did the G7X and G9X cameras and CES is usually the place to do it.